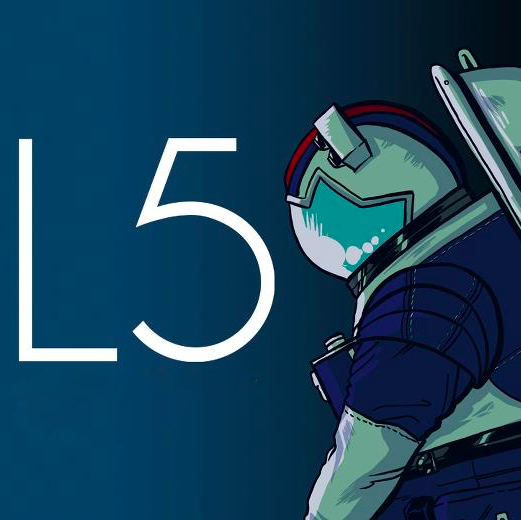 L5 is a slick, dark and compelling new Sci-Fi series that premieres free-to-share today on VODO in partnership with BitTorrent Inc. The crowdfunded production raised its pilot budget through the generosity of donors from sites such as Kickstarter and Indiegogo, and will use direct support from viewers to realise each new episode. The show follows the unfolding drama of the crew aboard the spaceship Argo as they awake from hypersleep into a nightmare. Having spent the last twenty years searching for a new home to salvage humanity from a dying earth they return to find something has gone terribly wrong. L5 is directed by Stanley Von Medvey, written by Tom Ptasinski and realised in full digital splendour at Studio Hemogoblin in Chicago. The team’s goal was to create a compelling, high-production-value science fiction on a small budget. After endless hours in post production were volunteered by a talented team of visual effects artists all over the world, and with the spit and vinegar of home grown construction methods for building props, sets and costumes, as well as the unrelenting support of their families and the local art and business community in the Chicago area, the result was accomplished inside a budget of $15,000. L5 now needs more help from the crowd! Check out what the production team can do with so little. They want to multiply that, and do even more. They want to build a unique production environment that will enable them to continue creating more episodes of L5, as well as other original science fiction content. There are lots of great goodies to snap up with our L5 support incentives including private streams you can gift to friends, limited-edition production items and even Producer and Executive Producer credits on future releases and iMDb page if you’re inclined towards the heavyweight investment!